Smart manufacturing is the use of sensor, automated controls, data management, information networks, and data analytics to monitor energy and actively and automatically optimize systems to achieve the greatest efficiency and productivity. It shifts the focus of energy optimization from the individual machine to the entire process line, manufacturing plant, corporation or even supply chain. Improvements in smart manufacturing account for the largest gains in industrial energy efficiency in recent years, and will continue to account for the largest potential efficiency for the near future. ACEEE promotes energy efficiency in the manufacturing sector through its technical, market, and policy analyses and through its engagement with industry stakeholders. We work with lawmakers, trade associations, businesses, research institutes, and utilities to enhance energy efficiency programs, performance standards, and workforce development. 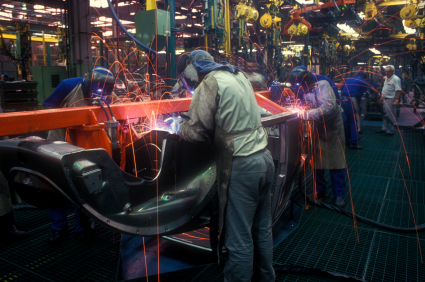 The manufacturing sector represents a third of all energy consumption in the US. Improving its use of energy will improve competitiveness of the nation’s industrial sector and reduce its impacts on the environment. Investment in energy efficiency programs and training will also help prepare a skilled workforce to take on the opportunities of the 21st Century. The Energy Savings of Smart Manufacturing: An analysis of how sensors, connected devices, networks, data historians, and data analytics are enabling manufacturers to increase productivity and optimize the use of energy in their processes. Smart Freight: Applications of Information and Communications Technologies to Freight System Efficiency: This paper explains how technology has created new opportunities for freight companies to become more efficient and move more material with less fuel.